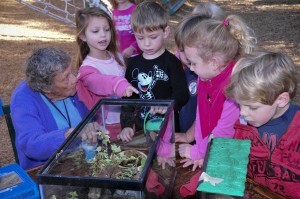 Town & Country Nursery School was founded in 1958 by Pat Horan and Mary Muchmore. It was created to serve the children and families of the surrounding communities. Since its inception, Town & Country has offered a nurturing and stimulating educational environment for young children between the ages of three and five. Our school is based on the philosophy of Alfred Adler and Rudolf Dreikurs. We believe that individuals are responsible for their own behavior. We encourage children to make age-appropriate choices and to live with those choices. They learn from their decisions and the consequences of these decisions. Children determine how to participate, to cooperate or not, and to live with the consequences. Our staff helps children to grow by remembering, “Never do for a child that which he can do for himself.” Encouraging attitudes coupled with allowing children to do many things for themselves makes for a positive and happy learning environment. We group children very closely by age, often only three or four months apart within each class. 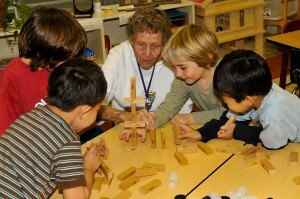 This chronological and developmental similarity helps the classmates to become interactive quickly and easily. Social, cognitive, emotional and physical activities are planned for each day. Emphasis is placed on motor skills (large and small muscle development), language arts, music, art, math and science, as well as many academic readiness activities. Academics are here, but not the most important focus. We know that young children who learn through play both indoors and outdoors, by exploring and experiencing challenges and successes in all areas of their development, grow in capability and independence and become excellent students as they grow older. It is our practice to treat children with the respect due to every person and to encourage them to appreciate privileges and the responsibilities of those privileges. Our school is a non-profit corporation that is governed by a Board of Trustees. There is also a Parent Committee comprised of current and former parents of Town & Country students. In its plan to support both the child and the families in our school, Town & Country enhances the educational environment by providing parent education discussions and parenting classes focusing on preschool through elementary-age children. Parents are encouraged to be involved in their child’s education and communicate often with the Teacher and Director. Teachers maintain a close working relationship with families through frequent personal and phone conversations, written notes, home visits, newsletters, school events and parent participation in classroom activities. Questions and concerns may be addressed to our staff at any time, no matter how small. Just call! We have a common interest – your child!